The Centre for Small Business Financing offers valuable assistance to business people looking to launch or grow their businesses using government grants and financing. In the past, client lead generation efforts consisted primarily of advertising and direct mail. Today, the organization relies exclusively on inbound Internet leads; it receives substantially more inquiries at a fraction of the cost of traditional efforts. Dozens of pages target individual searches based on types of business, business need, type of financing required, and geographical location. While many pages often provided similar information, we carefully tailored the copy to differentiate each page for SEO, and we employed headlines and keywords within the content to achieve top search engine ranking for these pages. We conducted regular interviews with small business people across the country who had successfully received government funding, and published weekly profiles on the website. These success stories achieved results on a number of fronts. Advice and encouragement from successful small business people testified to the advantages of funding programs, encouraging visits and leads. 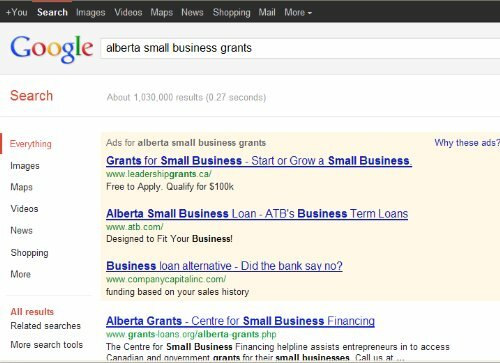 The regular publication of small business articles, and videos based on the articles, with keyword heavy heads and geographical tags, boosted SEO and drove traffic.